This season at the Robert Verdi Fashion Luxe Laboratory Week Retreat, I was introduced to fabulous brands, from jewelry and jeans to hair and beauty. On February 22nd and 23rd, Robert Verdi launched his HSN sunglasses collection, including a variety of frame styles, unique colors and prints for under $40. "Every woman should have a wardrobe of sunglasses to wear with different outfits," said Verdi. "Sunglasses are the perfect way to add flare to your style, and make everyone feel like a movie star, no matter what else you're wearing. That's why I'm bringing these sunglasses to HSN at a great price." 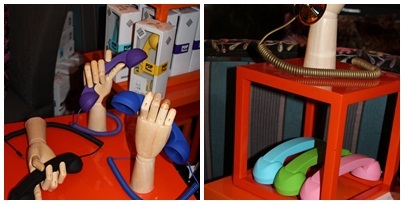 One of my new favorites is the POP Phone The Retro Handset by Native Union. All you do is plug it into your phone and be prepared to make and answer calls with it! It may seem weird to just pull a handset out of your purse but people will be staring with envy! It comes in a variety of colors - dark blue, sky blue yellow, pink, red, green, purple, black and silver, retailing for about $29.99 and a gorgeous gold one for $59.99, which I'm thinking about getting myself. I have the sky blue one. It just makes it easier to hear the person on the other line especially when a lot of background is involved, whether I'm at fashion week or just walking around NYC. 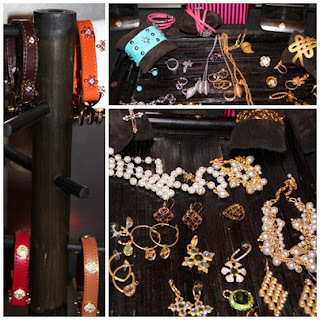 bamboopink is a classic yet on-trend collection of jewelry including earrings from hoops to charms to studs, funky cocktail rings with fine crystals and seasonal colored stones such as turquoise, coral and amethyst. I love the different length chains that are perfect for layering and cuffs in gold, silver and leather. 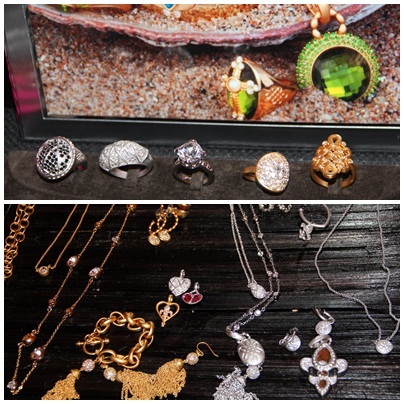 The base collection ranges from $19-$135, with pieces from the limited edition pieces ranging up to $225. I've been wanting to try out a pair of DL1961 denim for quite sometime. Colored denim is all the rage for Spring/Summer 2012, including these vibrant colors including parakeet, toucan, flamingo, mermaid, coral, available in legging, ankle, skinny and straight leg styles as well as shorts and crops. I'm all about the legging jeans, and if your petite they do offer a 29" inseam so you don't have to worry about hemming them. Brush your teeth in style with the REACH® BYdesign™ limited-edition collection curated by Jeff Lewis from BRAVO's Flipping Out and fashion designer Shoshanna Gruss. The Reach® BYdesign™ toothbrush has a specially angled neck to fit your mouth and multi-level bristles. It's clinically proven to remove more plaque than the leading toothbrush (as compared to Oral-B Advantage Plus) and more than 95% plaque between teeth. The Reach® BYdesign™ collection is available at grocery and drugstores nationwide, including Target, Walgreens, CVS, Rite Aid, and drugstore.com, retailing for $3.49 each or $5.99 for 2ct. Now I have heard of Sensa® but never really new how it worked. People who use Sensa® lose on average 30.5 lbs in 6 months. You don't change your diet with this monthly weight loss system- you just sprinkle Sensa® on your meals and snacks. Sensa® contains a new proprietary blend of Tastants, which safely and effectively curbs your appetite and makes you feel full faster. There's no taste to it so it doesn't change the taste of your food, and is calorie-free, sugar free and sodium free. 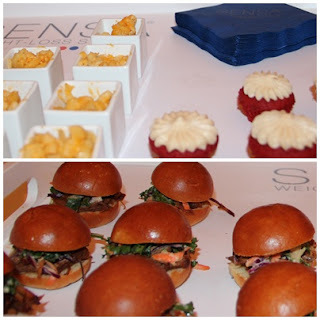 I had a chance to sprinkle it on some of the mini mac & cheese, sliders and mini red velvet cupcakes. It really was tasteless and the food was great. Now anyone that knows me would say I don't need to lose weight. But what I would use this for is suppressing my appetite, especially since I am always snacking during late night hours. Instead of reaching for a snack I can take one of the Sensa® berry burst or chocolate fudge chews to curb my 1am dessert cravings. Sensa® also makes on-the-go packets you can take with you when you are dining out, as well as Sensa® Quench vitamin drinks in berry splash, orange crush and pink grapefruit flavors. Learn more about Sensa® at trysensa.com. I've never tried SinfulColors nail polish before and was amazed to find out that they retail for just $1.99! The polish is DBP, toluene and formaldehyde free. New for Spring is the Electric Slide collection - 8 shades including a bold pink, turquoise and green. I absolutely love the POPtastic collection for summer - 9 shades, including electric blue and clementine as must-have shades that I need to pick up. Sinful Colors is available at major drug and mass-market stores such as Target, Rite Aid and Walgreens or online at walgreens.com. 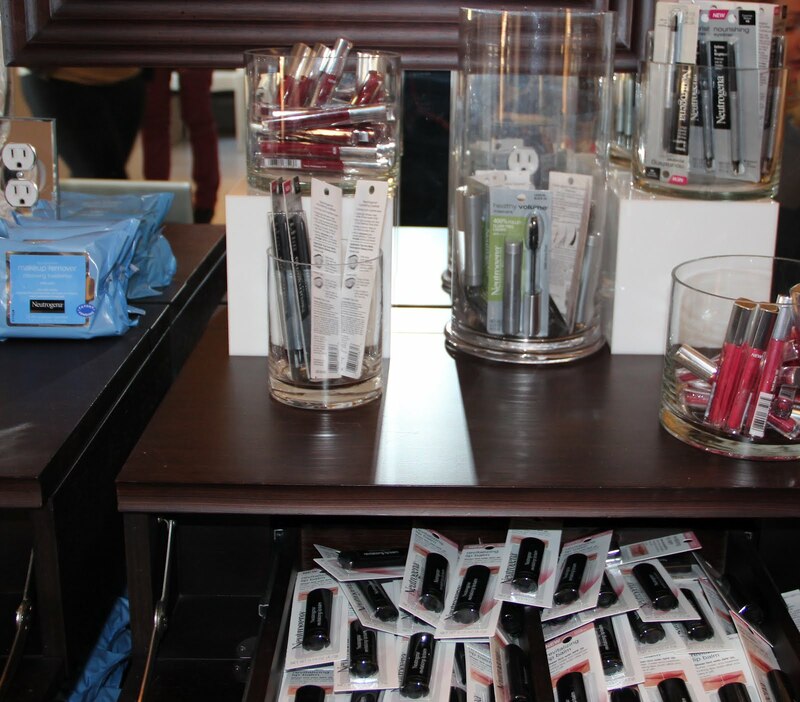 During the fashion week retreat, SinfulColors provided complimentary manicures. 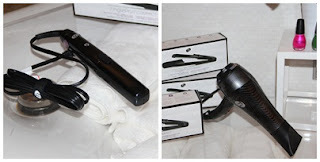 I am super-excited to try the T3 SinglePass Compact flat iron! The tourmaline, ionic technology seals in moisture and fights frizz, leaving you with silky, smooth hair. I love the sleek design, with a heat resistant cap that covers the hot plates, keeping the iron shut for safe and easy storage. This is the perfect size flat iron for travel and I love how petite it is! The T3 SinglePass retails for $79 at shopt3micro.com. Neutrogena was at the fashion week retreat, offering complimentary makeovers and making sure we were stocked with makeup must-haves, like my favorites - Makeup Remover Cleansing Wipes, Healthy Skin® liquid makeup, Healthy Volume® Mascara, Nourishing Eyeliner, MoistureShine® Gloss, along with the Nourishing Eye Quad, Healthy Skin Custom Glow blush & bronzer, Healthy Skin Custom Glow™ Bronzer and Revitalizing Lip Balm. Learn more and shop at neutrogena.com. Clowning around with Jay Alexander (aka Miss J). 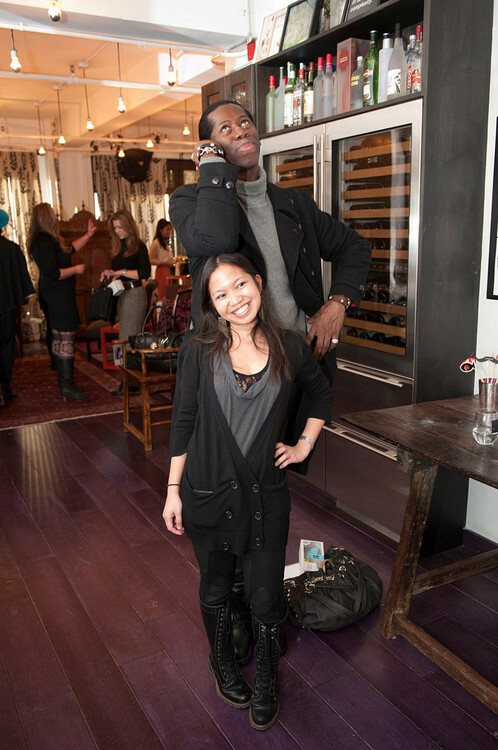 I'm like half his size lol!